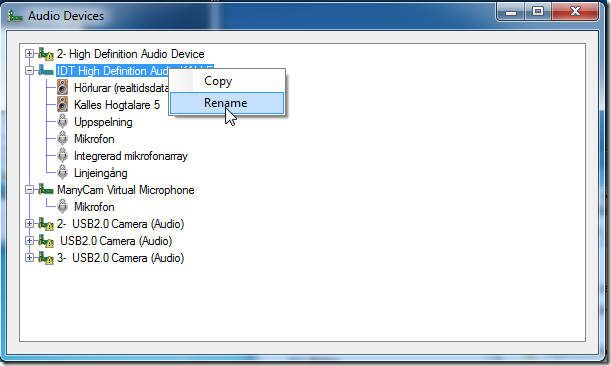 In a previous blog post post I describe how to rename plug and play devices using the registry. It can be quite tedious to do this manually, and because of this I have put together a small utility. 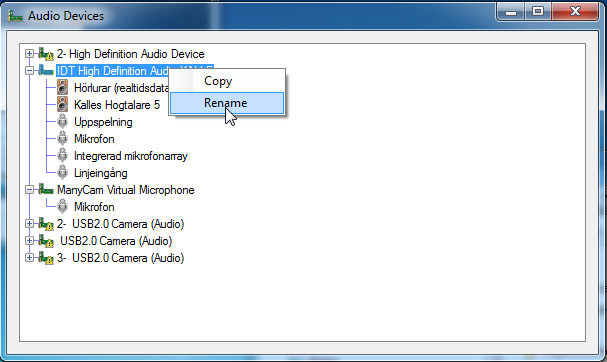 The AudioDeviceRename utility helps you find the registry key of your audio device and adds the FriendlyName string to the registry. The application actually contains an embedded copy of Sysinternals psexec.exe and creates a local script file in your temp directory. The application can also help you to remove the FriendlyName, just press the Default button in the rename dialog. Download the program below, it requires .Net Framework 4 to run.